Tennessee Republican Sen. Lamar Alexander will not run for re-election in 2020, he announced Monday. 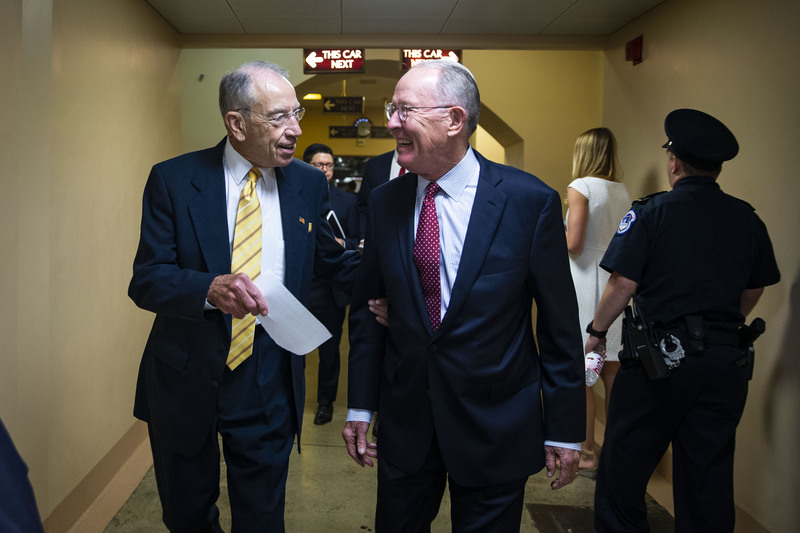 The 78-year-old has been a senator since 2003 and had a key role in the battle to shape health care as chair of the Senate Committee on Health, Education, Labor and Pensions. The 2020 race will be Tennessee’s second contest for an open Senate seat in two years, reported USA Today. Tennesseans voted in their first female senator, Republican Marsha Blackburn, in November. Names are already floating for who could replace Alexander, whose experience included eight years as Tennessee’s governor and two years as the U.S. secretary of education under late President George H.W. Bush. Tennessee politicians including outgoing Republican Gov. Bill Haslam, Republican Rep. Diane Black or Democratic Chattanooga Mayor Andy Berke could run for Alexander’s seat, reported USA Today. If he had chosen to run again, Alexander would have been 86 by the end of his fourth term, reported USA Today. Tributes to Alexander started to roll in soon after his Monday announcement. Lamar Alexander’s career is the definition of public service. He’s served as an executive at both the state and federal level, and is now one of the Senate’s most distinguished members. He’s been a strong leader for our party and our nation. Alexander sponsored the wide-reaching Opioid Crisis Response Act of 2018 that President Donald Trump signed in October. Some of his other legislative efforts include a more centrist bill he offered as an alternative to repealing and replacing the Affordable Care Act in 2017. He also received praise for reducing federal control over education with the 2015 Every Student Succeeds Act that rolled back parts of former President George W. Bush’s No Child Left Behind Act.